The police commissioner who was in charge during the Baltimore riots that followed the death of 25-year-old African-American Freddie Gray, who died mysteriously while in police custody, has been fired. Baltimore Mayor Stephanie Rawlings-Blake announced the move, noting that high rates of violent crime are prevalent in the streets of the city. Too many continue to die on our streets, including three just last night and one lost earlier today. Families are tired of dealing with this pain, and so am I … Recent events have placed an intense focus on our police leadership, distracting many from what needs to be our main focus: the fight against crime. So we need a change. 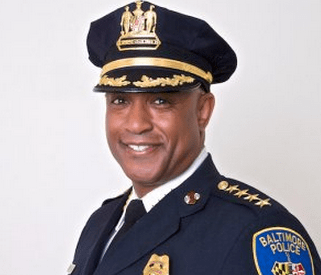 Baltimore Police Commissioner Anthony Batts was widely criticized for how his department handled the riots in the April. The city has also seen extremely high rates of violent crime in recent months. In the last three months alone, there have been 100 murders in the city of Baltimore.